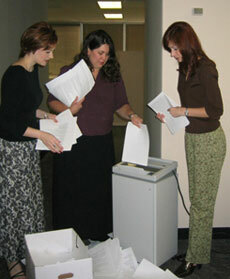 If you’re a business professional who has always relied on an office shredder as a cost-effective way to protect your clients, customers or patients from identity theft and the unauthorized disclosure of private information, then ShredTex would like to ask you to calculate your own costs, to see just how much money that office shredder is costing you. Let’s take a look at a typical business office that purchased a shredder at an office supply store for $185.00 The chart below shows how much it cost this business to operate their office shredder. Since the average hourly wage of their employees, plus benefits is $16.19, the total monthly labor cost to operate an office shredder is $87.71. Factor in depreciation and maintenance costs (shredding blades must be sharpened) the total cost of operating their office shredder is $97.58 per month. Now your costs will be different based upon how much you shred, your average hourly wage, initial cost of the shredder, etc. 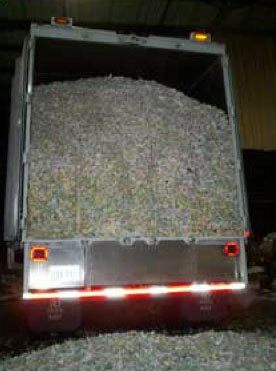 But the fact is that using an office shredder costs more than a monthly pickup by ShredTex. We shred onsite, remove and properly dispose of all shredded material and provide you with a Certificate of Destruction to verify that you took the appropriate steps to destroy outdated confidential documents.